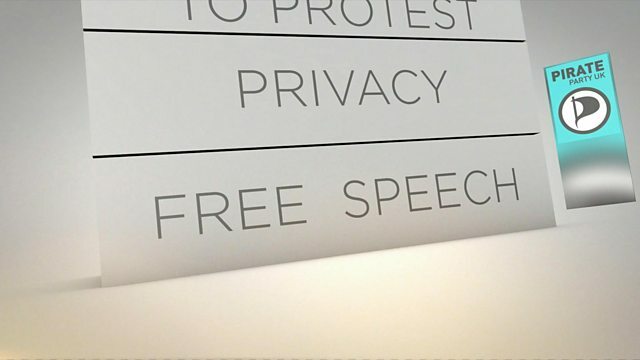 The Pirate Party is campaigning for people to be free online and offline, and believes there is greater surveillance of people's online activities. Leader Mark Chapman said it had "an unique offering" on free speech, whistle-blowing and justice. He was speaking to Daily Politics presenter Andrew Neil, and Plaid Cymru leader Leanne Wood, about the party standing 10 candidates in the 2017 general election.